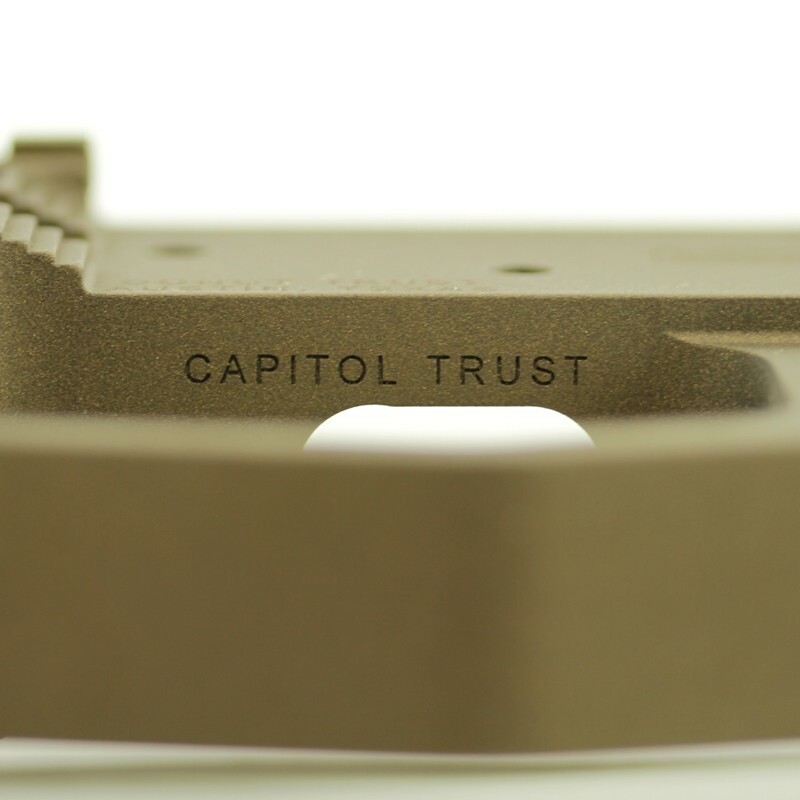 Capitol Armory utilizes the latest in laser engraving technology to exceed the BATFE requirements for engraving a firearm, receiver or parts. The ATF requires that all Form 1 short barreled rifles, shotguns or suppressors be engraved with the manufacturers name (you or legal entity), city and state. 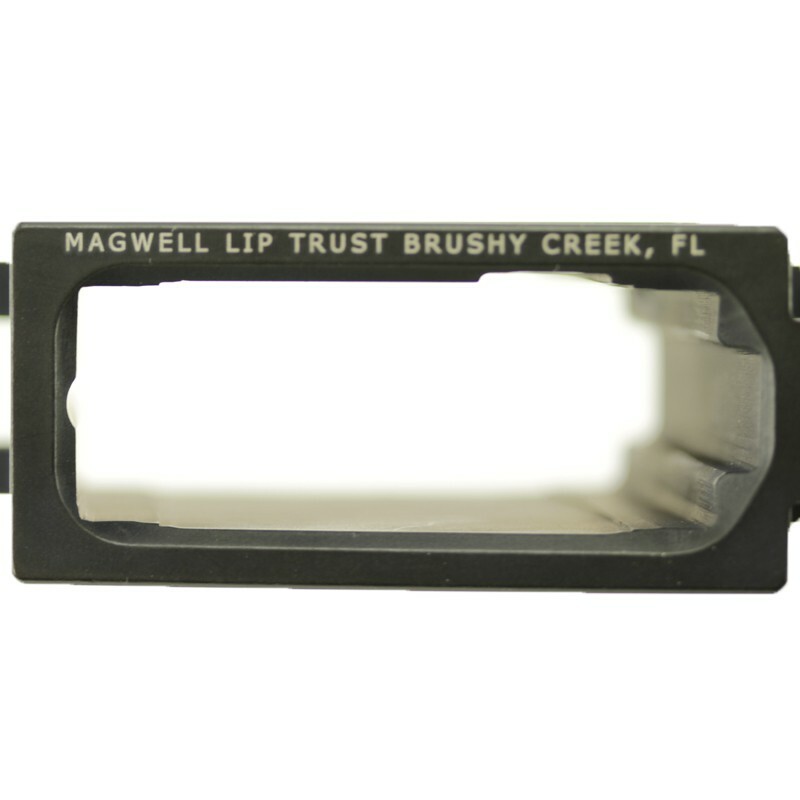 Your Name / legal entity name and locale can be engraved any where it is visible and can be as small as 1/16" tall. 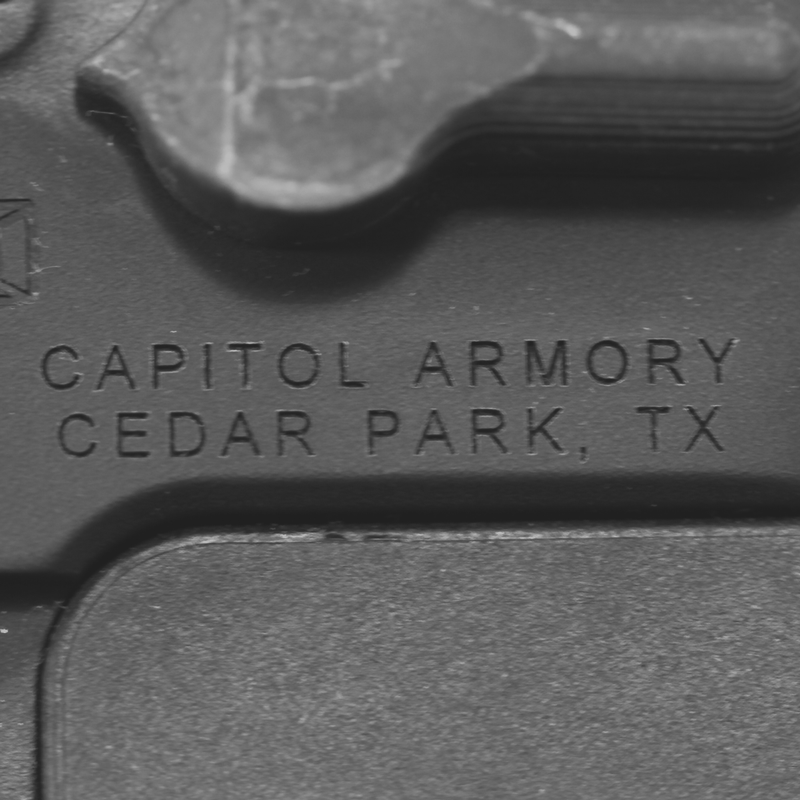 Capitol Armory can engrave underneath an integrated trigger guard found on billet lowers and on the underside of a flared mag well. Keep in mind the text must be visible without dis-assembly. 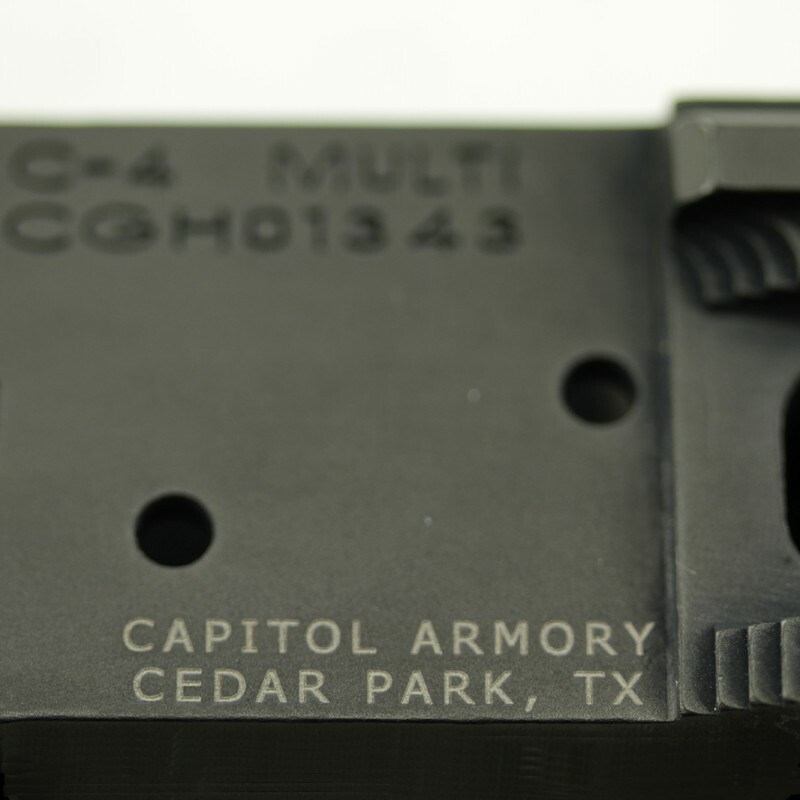 Capitol Armory can engrave on polymers and most firearms / receivers. Areas such as the front mag well must be flat and cannot be textured. 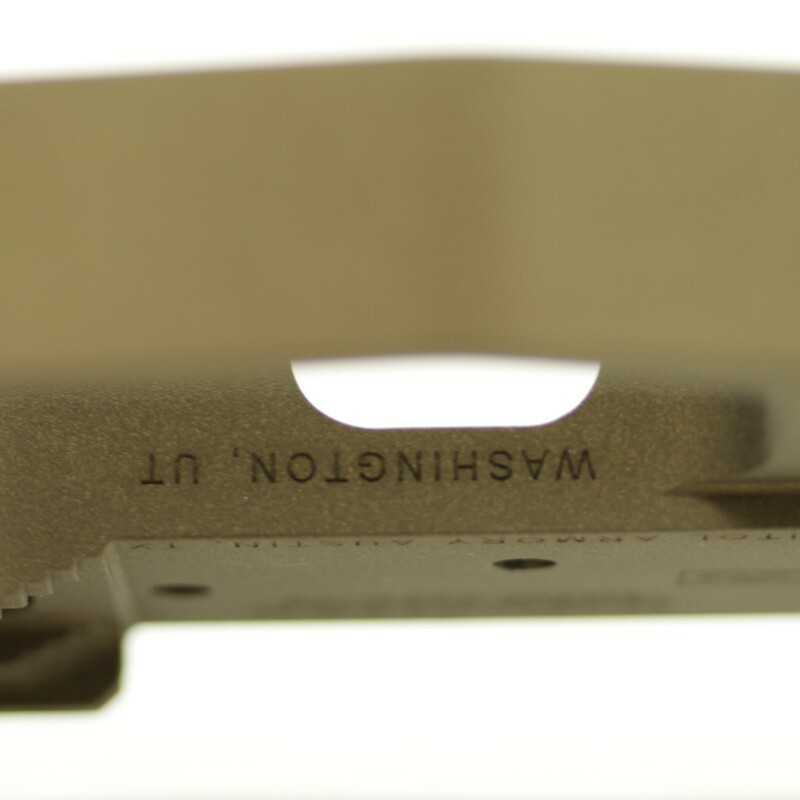 Receivers do not need to be stripped prior to engraving. Stocks, buffer and buffer spring should be removed prior to shipping, but the buffer tube may be left in place. See the product pictures for location examples. 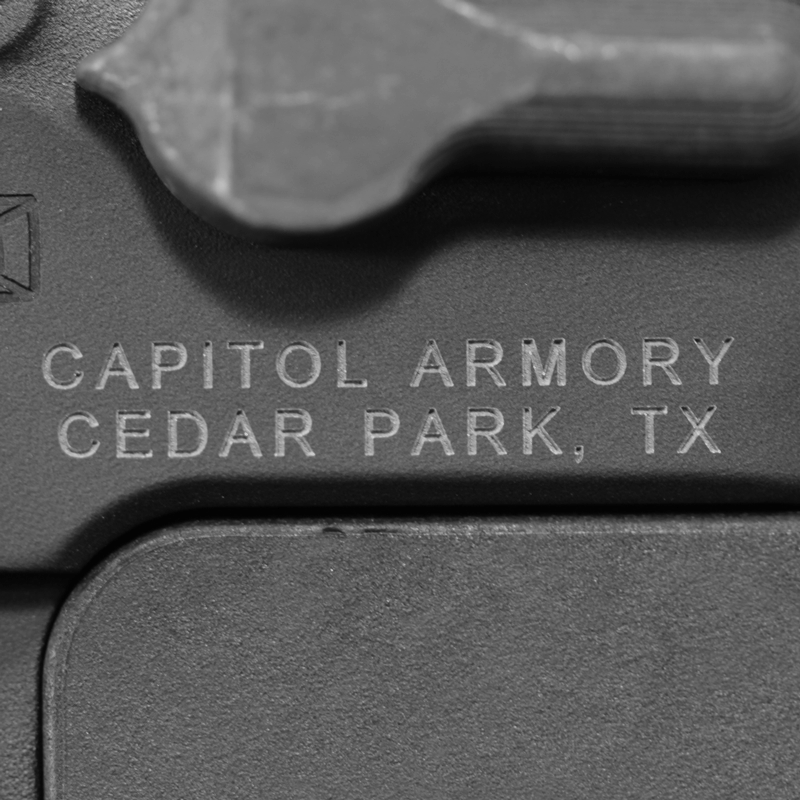 Capitol Armory can engrave your firearm with various fonts and heights. 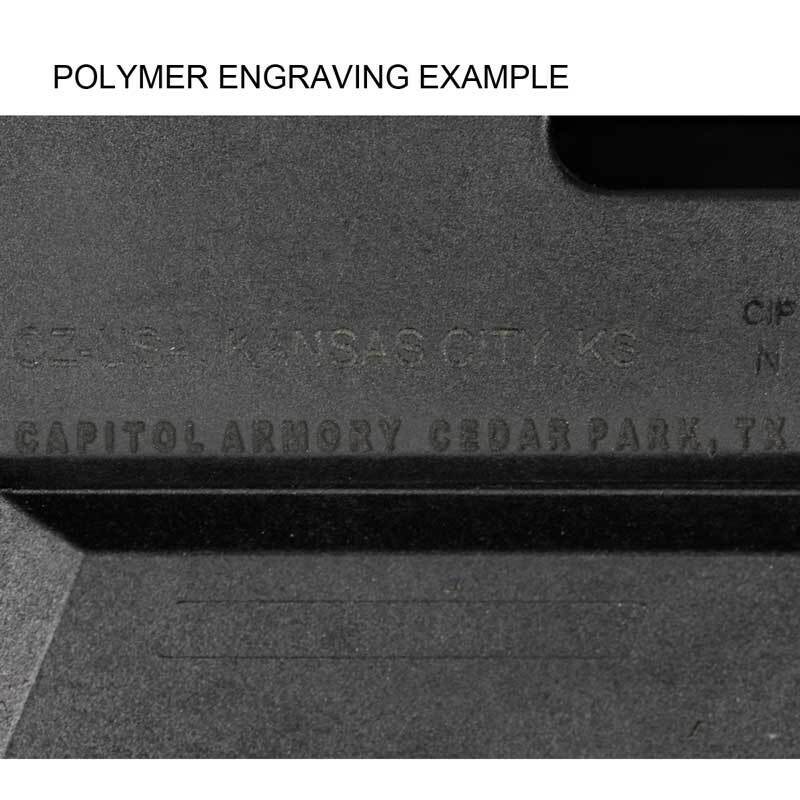 Capitol Armory is able to engrave on round tubes (suppressors) and provide custom logo engraving. If you have any questions or your firearm is not listed, please contact us. Enter the model name, caliber and serial number as you want displayed on the suppressor. My My receiver shows MULTI for the caliber. My Form 4 is labeled as .223/5.56. Does this need to be engraved as well? 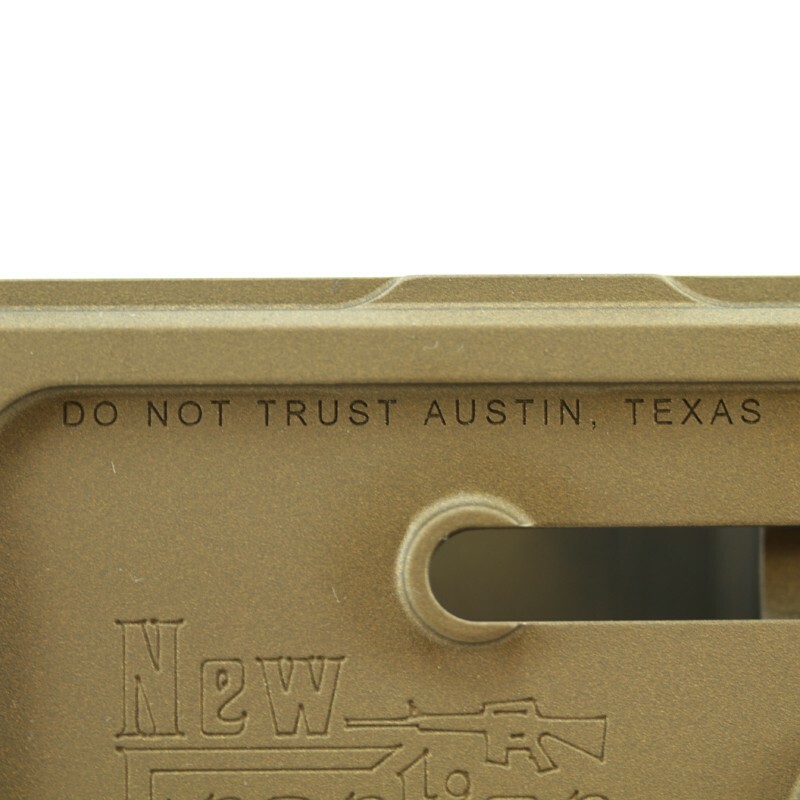 You do not need to engrave the caliber listed on the Form 1. Only the manufacturer (yourself, trust or corp) and the city and state in which it was registered. if shipping the receiver for engraving, does return shipping need to be pre-paid? During checkout we will add $8.95 to the order to ship the receiver back to you. The $8.95 partially covers the fees associated with shipping the receiver via USPS priority mail with adult signature. 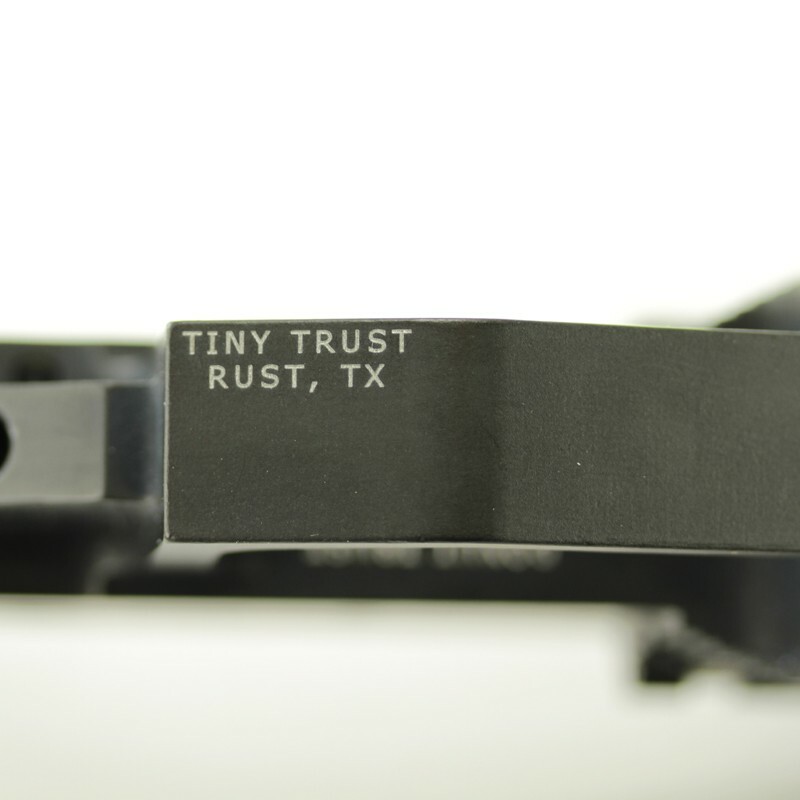 Some engravers require a fully stripped lower (AR-15) to be able to engrave inside the trigger guard. It sounds like this is not the case for you, is this correct? What parts can remain in the lower and what parts must/should be removed? Thanks. 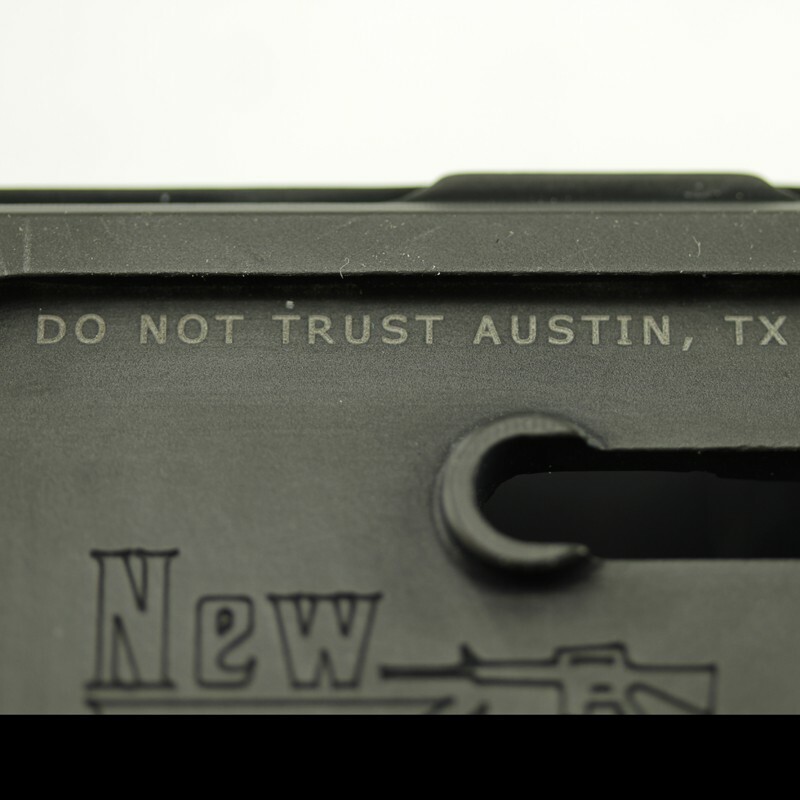 We do not need you to remove any parts to engrave inside the trigger guard. What do you guys use to paint the engraved area? 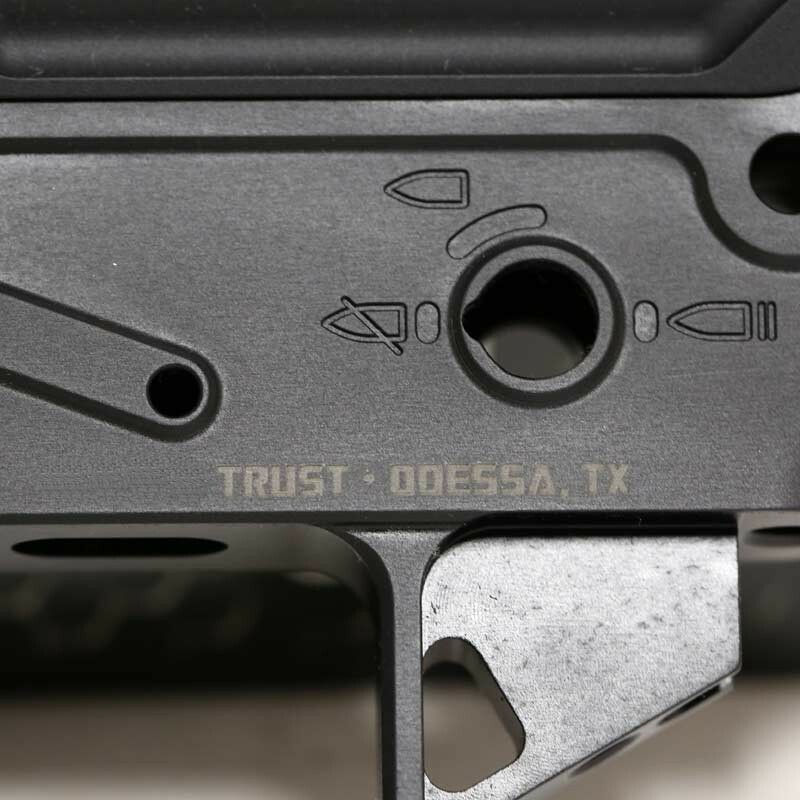 I had my lower engraved at a local shop near my house and the engraver keeps giving me the run around as to why he doesn't have the paint to paint over the engraved area, so my engraving is bare metal. For small engravings we use alumablack. For larger engravigs we use cerakote air dry or gunkote. Can my lower be Cerakoted after being engraved? Yes. We can cerakote the lower after engraving. To do so, call us to setup the order or add both the cerakote service and engraving service to your cart. Engravings are done the same day, however cerakote will add 1-2 weeks to the processing time.